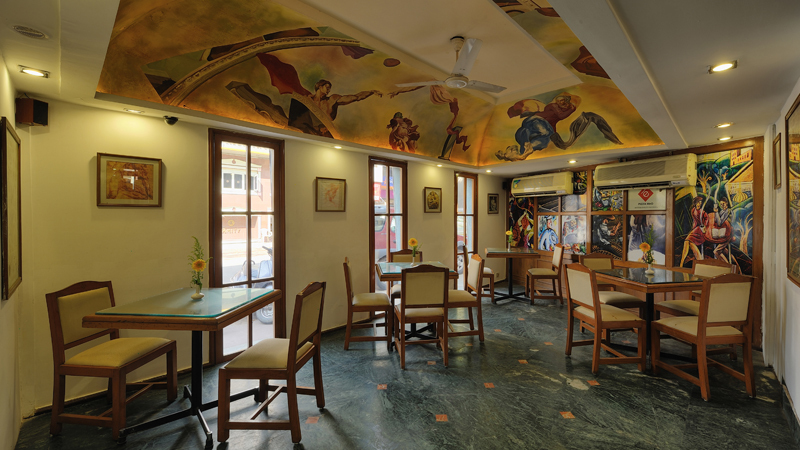 "A Wide World of Taste"
Adjoining the cafeteria is the restaurant that specializes in Italian cuisine, the Pizza Meo. As Roman as Rome this Italian speciality restaurant serves authentic cuisine from the land of Ferraris and Fashion! 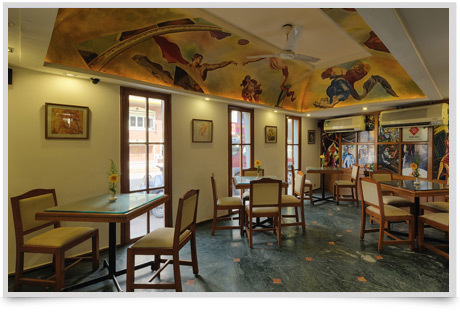 Classy interiors and its unique decor, not to mention its delectable servings make your visit an experience in itself. Pizza Meo offers a lavish spread of the Latin variety starting with the luscious options in salads Pasto Salata or Insalata Romaine. For those who prefer to start with something more conventional the Zuppe or soups are an excellent starter. Of course It would be sacrilege not to indulge in the prime course: The famous pizzas of Pizza Meo - each a veritable authentic creation of the master chefs. There is a mouth watering range of pizzas like Chipolata Funghi, Ortolano and Salciccia to name a few. Do sample the pastas and spaghetti to get the taste of real Italy! Apart from the daily fare, the Friday Buffet is definitely worth a visit.